Reminiscent of Nick and Amy in Gone Girl, Jack and Maria have a tortuous history. Jack was an up-and-coming rock guitarist living on Manhattan’s Lower East Side. His girlfriend Maria was just beginning a corporate career. They were happy and in love. Now Jack’s music career has stalled, and he isn’t doing much better as a real estate agent. Maria’s doing well at her job, but she travels frequently, and it’s taken a toll on their marriage. While they both love their son Jonah, they don’t seem to have much else in common. When a friend from L.A. tells Jack about a new extramarital dating app called Discreet Hookups, Jack quickly meets Sophia, who goes by the online name Fugitive Red. Jack and Sophia hit it off and have a steamy online affair. 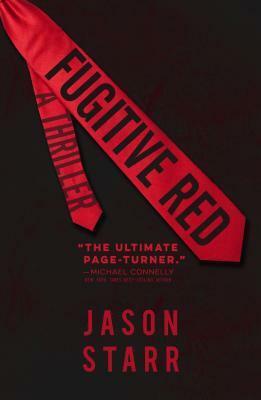 But when Jack gets up the nerve to meet Sophia in person, he discovers her dead–strangled by a red necktie. Immediately, Jack becomes a person of interest in the murder. Maria, furious and betrayed, locks Jack out of the apartment and cuts off access to their joint accounts. Jack sets out to prove his innocence. Instead, he leaves a trail of dead bodies in his wake, and the police close in on him. Worse, he discovers that he has been the victim of a sinister scheme that may cost him his life.